ABC Television. 1972. Producer: Alan Burke. 45(a) (ST)	Philips. 6037 037. (m). 1974. 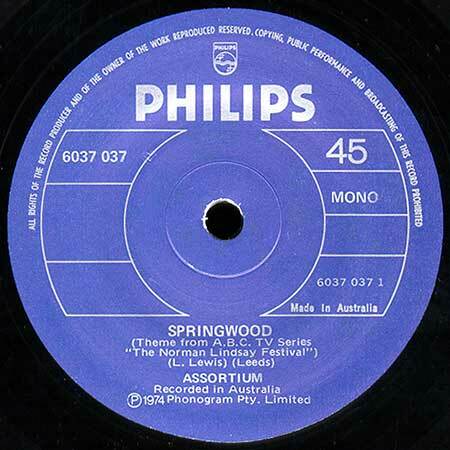 “Springwood”. (L. Lewis). (Leeds). Assortium.